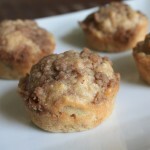 Vacations can be very relaxing and invigorating experience, but they are definitely hard on a food blog. You might be able to find a place to cook, but the ingredients, spices and tools are totally different. Still, a good cook can overcome just about anything, except…camera failure. This trip my camera malfunctioned. Not just a dead battery, but total system failure. After just completing a fabulous dinner party for 12 people (Grilled Carrots with Garlic Mustard Vinaigrette, Marinated Grilled Chicken and Cowgirl Beans) and taking a full compliment of pictures, the camera lost power mid-photo. After recharging the battery, disaster struck. At some point, I’ll remake those recipes but for 2 instead of 12. 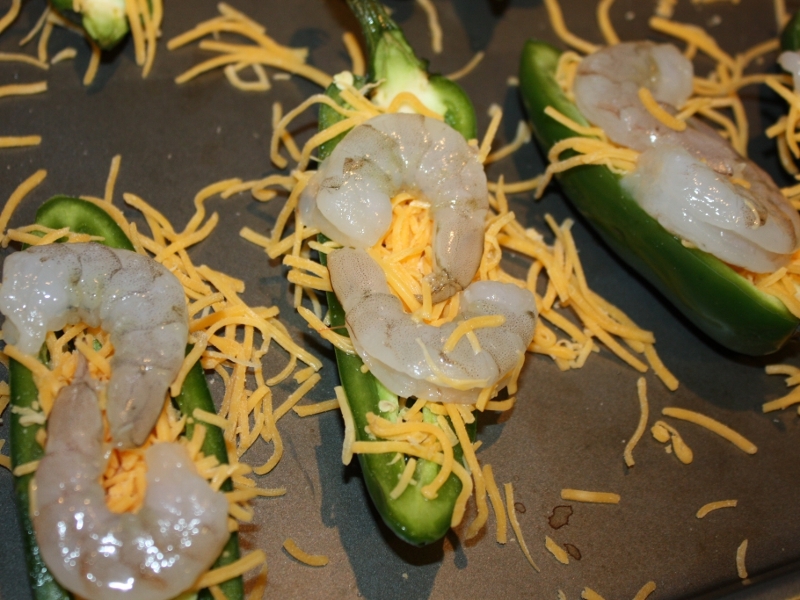 Alas, onward and upward…next up: bacon, shrimp, jalapenos and cheese appetizer. 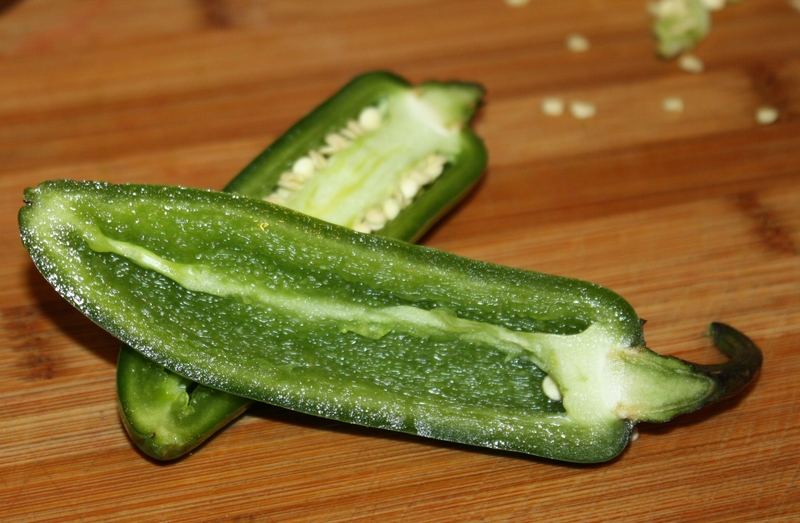 Cut jalapenos in half the long way. Remove seeds and veins. 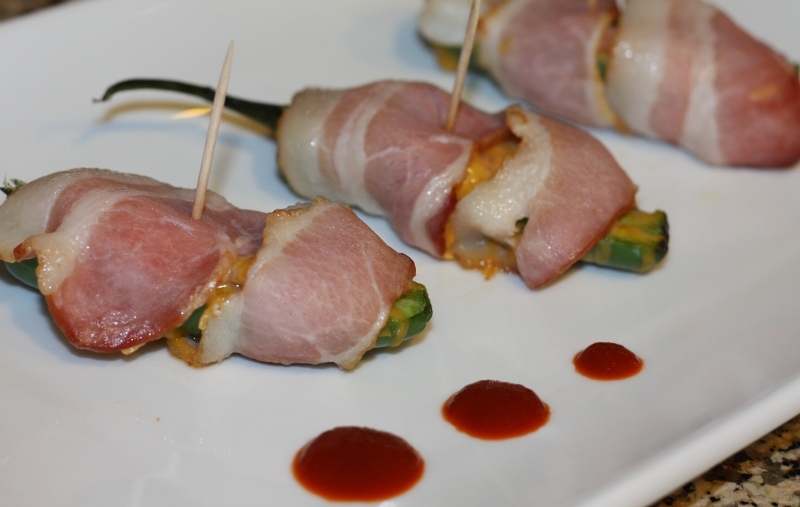 Place jalapenos on a cookie sheet and bake for 10 – 15 minutes. Prepare shrimp by removing shells and sprinkling with the seasoning. 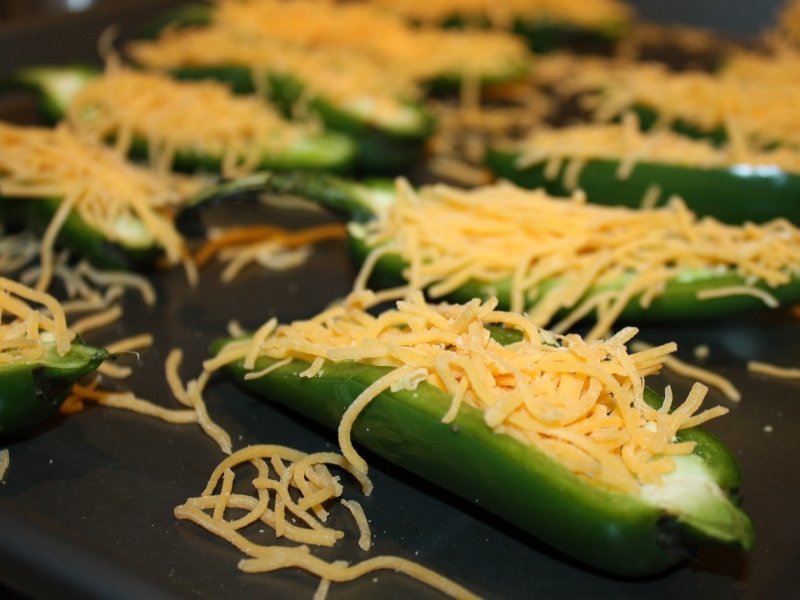 To assemble, sprinkle cheese on each jalapeno half. 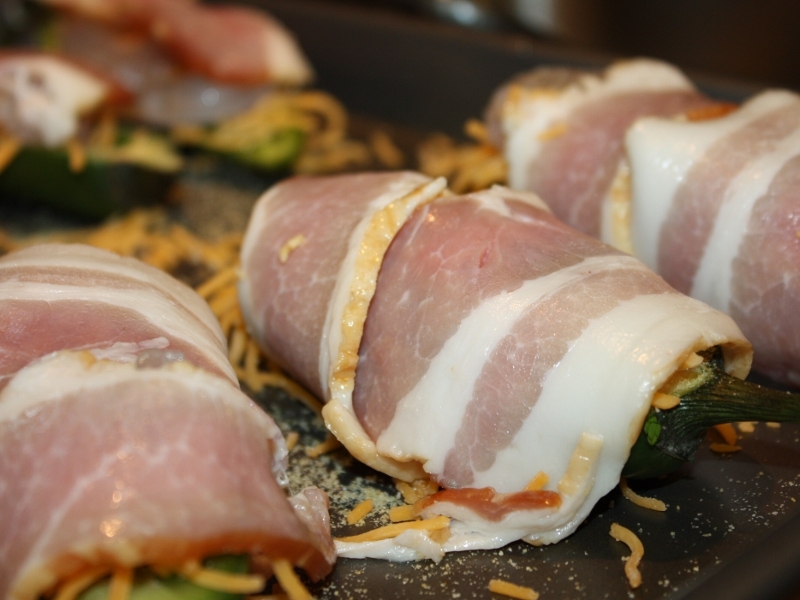 Place two shrimp on top of the cheese and wrap bacon around the whole pepper. 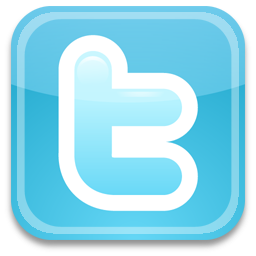 Bake for 15 – 20 minutes at 400 degrees. Serve with toothpicks and a bit of ketchup in case the peppers are a bit hot.